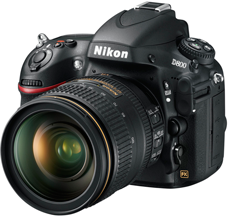 February 7, 2012 /Photography News/ Nikon Corporation today announced the release of the Nikon D800 FX-format digital SLR camera. The D800 offers the world's highest* effective pixel count of 36.3-million pixels, and is equipped with the new EXPEED 3 image-processing engine and a 91K-pixel (approximately 91,000 pixels) RGB sensor for overwhelming definition and image quality. Nikon will be exhibiting the D800 at the CP+ CAMERA & PHOTO IMAGIING SHOW, to be held Thursday, February 9 through Sunday, February 12 in Yokohama, Japan. This exhibition is open to the public. 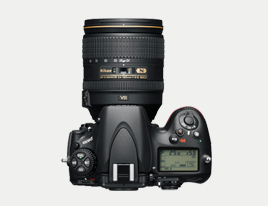 Nikon also released the D800E, a model that offers increased resolution for images with more dimension. New Nikon FX-format CMOS image sensor The D800 is equipped with a new Nikon FX-format CMOS image sensor and the new EXPEED 3 image-processing engine for Nikon digital SLR cameras. This new image-processing engine is faster and offers greater performance. The camera also offers an effective pixel count of 36.3-million pixels. When combined with the sharp rendering of NIKKOR lenses, images exhibiting resolution equal to that achieved with medium-format digital cameras are possible. The D800 also responds to the demands of professional photographers with a standard sensitivity range of ISO 100–6400, and additional support for equivalents of ISO 50 (Lo 1) and up to ISO 25600 (Hi 2), for superior image and picture quality in dimly lit situations, such as just before sunrise and just after sunset, with shooting of still images as well as movie recording. New 91K-pixel RGB sensor for the more accurate Advanced Scene Recognition System The D800 is equipped with a new 91K-pixel (approximately 91,000 pixels) RGB sensor. When a human face is detected in the frame, 3D Color Matrix Metering III bases exposure control on the brightness of that face so that the face is optimally exposed even with backlighting. In addition, the superior resolution of the metering sensor, which makes full use of an incredible 91,000 pixels, enables extremely precise analysis of the scene for more accurate control over autofocusing, auto exposure, i-TTL flash control, and auto white balance. Multi-area mode Full HD D-Movie for movie recording using one of two movie formats The D800 records movies exhibiting superior resolution with optimal processing of information acquired from the 36.3-million pixel image sensor. Recording of 1920 x 1080p/30-fps full-HD movies is supported, and users can choose to record using the FX-based movie format or the DX-based movie format according to recording conditions. The FX-based movie format offers a shallow depth-of-field with an emphasis on blur characteristics while the DX-based movie format enables recording of movies that bring subjects closer when lenses with short focal lengths are used. The D800 is also equipped with a headphone jack and supports precise adjustment of microphone sensitivity. In addition, it supports simultaneous display of movies or the movie live view display in the camera monitor and on an external monitor. Further, the D800 responds to the needs of professionals who require uncompressed movie files with the ability to record movies directly to an external HDMI recorder in movie live view mode. The D800 also offers a time-lapse photography function that captures images at a selected interval and then combines the images to create a time-lapse movie that shows the changes in a particular scene that occur over time. Viewfinder frame coverage of approximately 100%*1 and a lightweight and durable water- and dust-resistant body The viewfinder built into the D800 supports a frame coverage of approximately 100%*1 and magnification of approximately 0.7x*2. Adoption of a magnesium alloy for the body gives the camera the same level of durability as the D700 with a weight approximately 10% less. Support for high-speed continuous shooting and a variety of battery types with the Multi-Power Battery Pack MB-D12 (optional) The MB-D12 supports the Rechargeable Li-ion Batteries EN-EL15 and EN-EL18, common AA batteries, and the AC Adapter EH-5a/b (with Power Connector EP-5B). When the MB-D12 is mounted on the D800, high-speed continuous shooting at approximately 6 fps* using the DX-format image area is possible. The MB-D12 also offers the added convenience of controls, including shutter-release button, AF-ON button and multi-selector, for vertical shooting. What's more, the same seals as those used for the D800 with its magnesium body offer superior resistance to dust and water. *When powered by the AC adapter, or AA batteries or Rechargeable Li-ion Battery EN-EL18 with the MB-D12. Measured according to CIPA guidelines. In-camera disabling of the aliasing and moiré pattern reduction operation performed by the optical low-pass filter built into the D800E allows light passing through a NIKKOR lens to strike photodiodes directly for even greater resolution. This makes this model optimal for landscape and artistic photography with which higher resolution and clear definition is demanded. With the exception of the modification indicated above, all other functions and characteristics are the same as with the D800. Aliasing and moiré patterns may be more noticeable in images captured with the D800E with some subjects, scenes or shooting conditions. Optical low-pass filter IR coating and anti-reflection coating performance is the same with both the D800 and the D800E. Thanks dear for this post. free astrology.